Sure you've held various public offices, kept your husband in check (he's always playing that saxophone! ), and marched up the political playing field tier by tier, but you can't hold office without smiling! But it gets exhausting going to all those states, all those rallies, all those dinners and meetings... Who can smile that much? It will be so much easier to look the part with this deluxe Hillary mask. Even if things don't work out on the political playing field, this Hillary Clinton mask will still put you at the top of your politics game this Halloween. 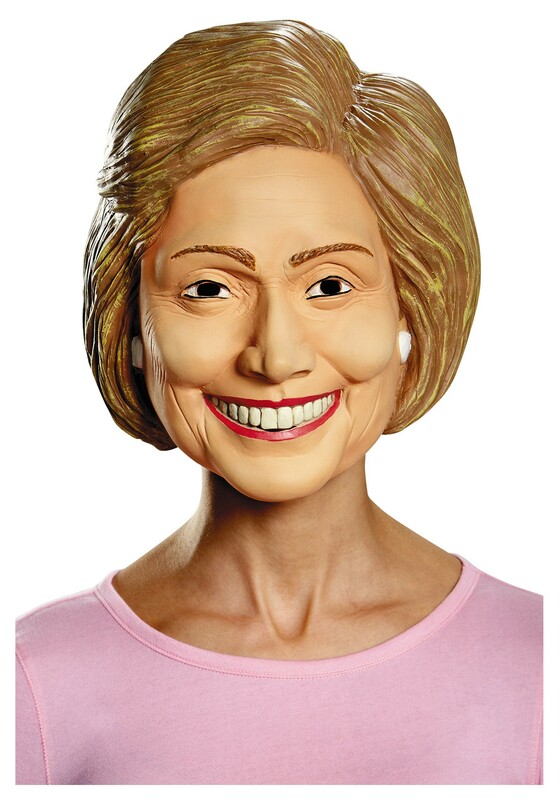 This flexible molded vinyl mask covers the entire head and features Hillary's classic grin. Looks just like her! This mask may not fool anyone into thinking you're the real former first lady, but it's still a great choice for Halloween, especially as part of a political group costume. Don't forget to pair this deluxe mask with a classy pantsuit to really pull off the classic look.